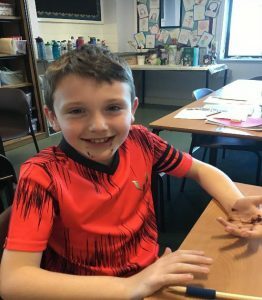 Last week, we had the opportunity to make and decorate cakes in some of our lessons, which were to be sold in our charity cake sale on Friday. 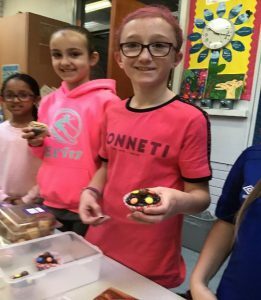 Each year group had their own amazing cake sale, with many people in each class bringing in beautiful cakes of all different flavours, and everybody wore bright vibrant colours, some people even wore their pyjamas! 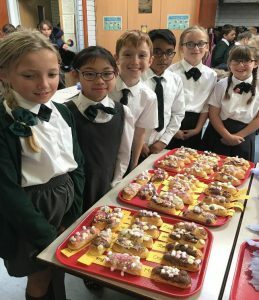 Many of the cakes were then taken down to the giant cake sale in the infant’s hall after school, where there was also a raffle of some of the most spectacular cakes that people had brought in. 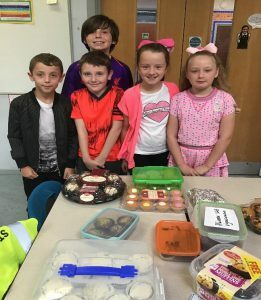 It was extremely popular, with many people queuing along the playground to get in, and in total we managed to raise £1186.80 for charities including CAFOD and MacMillan, which was absolutely amazing! We would like to say a massive thank you to everybody for taking part in such a successful event and helping to raise money for some wonderful causes!